Ocean breezes carry romance through the air when you have your wedding on a cruise. Whether the ceremony is onboard, at an exotic beach or in a garden, wedding cruises combine your love for each other with your love for travel in beautiful settings. 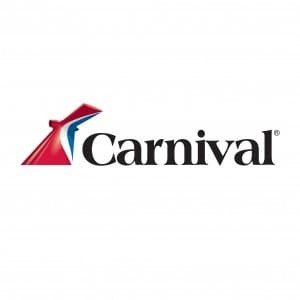 Carnival Cruises will help you plan every detail to create memories that last a lifetime. Here’s what you should know when planning your cruise wedding. A legal marriage falls under the rules of a country, so your ceremony won’t be on the open seas. Having it onboard a ship at your home port before the cruise sails lets you pick the clergy and invite guests who can’t join you on the cruise. You can also have a shipboard wedding at another port, or choose a destination beach or resort venue to add the exotic scenery of Mexico, the Caribbean, The Bahamas, or Hawaii to your photos. You need a marriage license wherever your ceremony is held. Your wedding coordinator will help you understand the requirements at the port where the ceremony will take place, but you need to take care of the details. Every cruise ship has its own personality! Look for one that matches your own style, with the dining, entertaining and amenity options you’ll enjoy on your honeymoon. 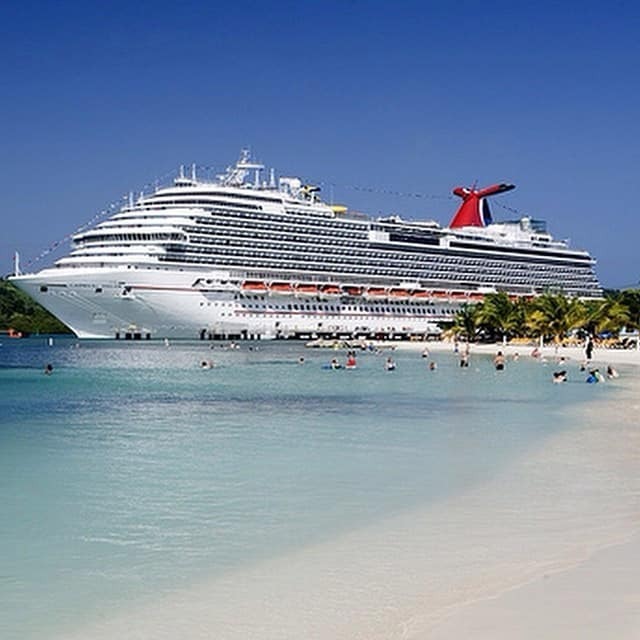 Carnival cruise ships have great amenities that you and all your guests will enjoy. Cruise weddings are popular, so make sure you book early to avoid a sold out sailing and be mindful of possible holiday surcharges. You’ll want to consider the weather and the season when you plan your wedding. A good idea is to arrive to the port a day early to ensure that everything is in order and to enjoy the city! You don’t need to send out the invitations as soon as you book your cruise, but do let your guests know in advance so they can make arrangements to take time off work. Set up a wedding website and honeymoon registry where you can share information with your guests so they can help create the perfect honeymoon experience as you start your life together. Pick a cruise itinerary that doesn’t rush your introduction to married life but isn’t too long or too expensive for your guests. A four- to seven-day cruise gives time for the ceremony and doesn’t require too much of their vacation time. Book accommodations as a group so that your wedding guests get a better rate. You can even plan group shore excursions. This allows you to turn your wedding into an affordable vacation for your friends and family! Carnival takes the stress out of planning your wedding with a comprehensive package. A wedding planner helps you right from the start, and you’ll have a wedding coordinator on the big day. Packages include everything from the officiant to streamers and cake. Carnival’s wedding packages offer different inclusions, so you can match your package to your dreams. Choose an elegant sit-down reception, cocktails and hors d’oeuvres, or join your guests at the shipboard buffet. Different tiers allow you to choose your favorite menu selections. You can also enhance your wedding package with flowers, favors, entertainment and other personal touches. Shipboard life is largely casual, but you’ll still want to dress up for your ceremony. The bride and her attendants should make sure their dresses are easy to get into, especially if your ceremony will be in the home port before sailing. For the guys, it’s easy to look sharp without packing a tux; onboard formalwear rentals can have suits ready in their rooms when they arrive. 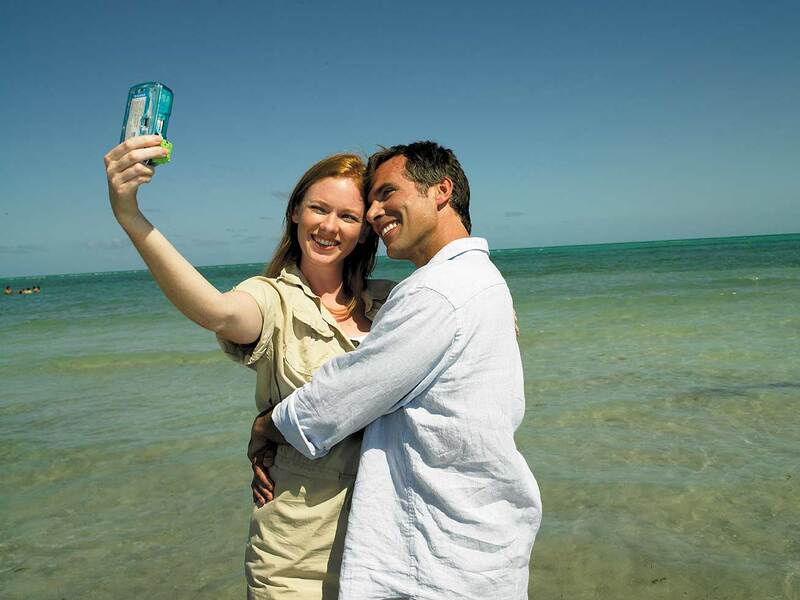 Your cruise ship can supply a professional photographer to take photo and video and create beautiful keepsake albums. Prints will be ready before you head home, so there’s no wait to start enjoying the memories! Cruise weddings where your guests sail with you can offer a perfect mix of time together and time apart. On a big ship, there’s so much to do everyone will always have an activity to enjoy. 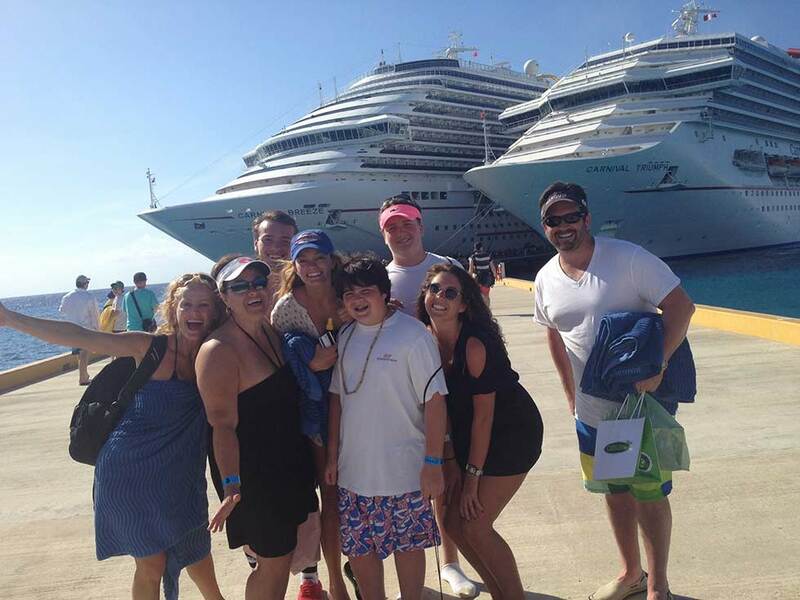 Cruises are a great way to bring together friends and family while you renew your vows, too! Once the ceremony’s over, so is the stress. 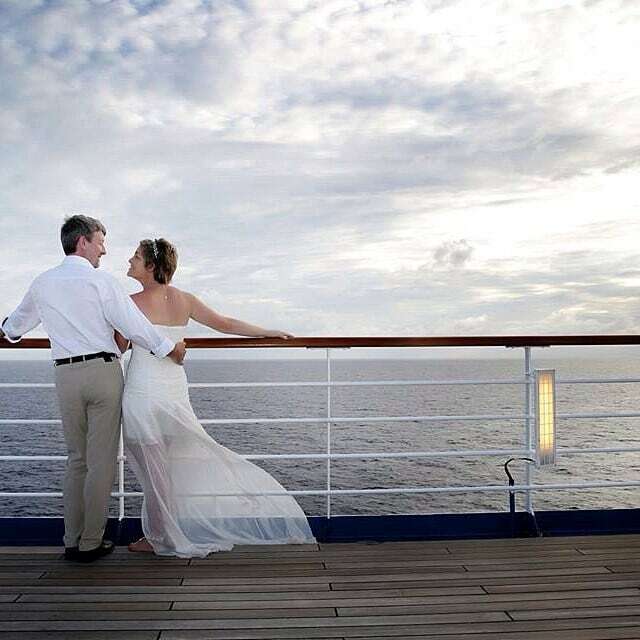 Enjoy the ship’s facilities and shore excursions, and make sure to find quiet corners on the deck so you can simply enjoy being together as a newly married couple! Try to relax before your wedding cruise, too. Working with the expert wedding planners at Carnival is the perfect way to have an easy, stress-free wedding.